With some spare time available while on business recently in Dublin I had to put aside the Guinness and amazing Irish stew for a bit and not pass up the chance to check out what the streets had to offer. 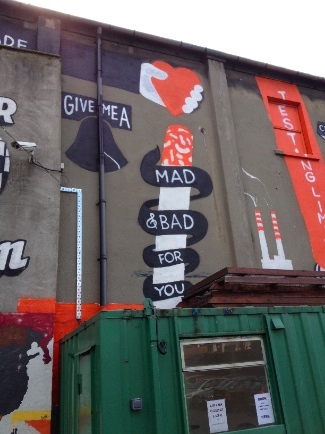 The creative festival Offset had recently took place with international talent like JR and Faile taking the chance to add their mark to the streets and complement the local artists like Maser and James Earley. 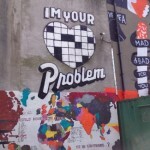 The festival birthed a collaboration effort between Maser and JR, while the duo of Faile hit the town at an impressive rate with a number of tags and stencils. 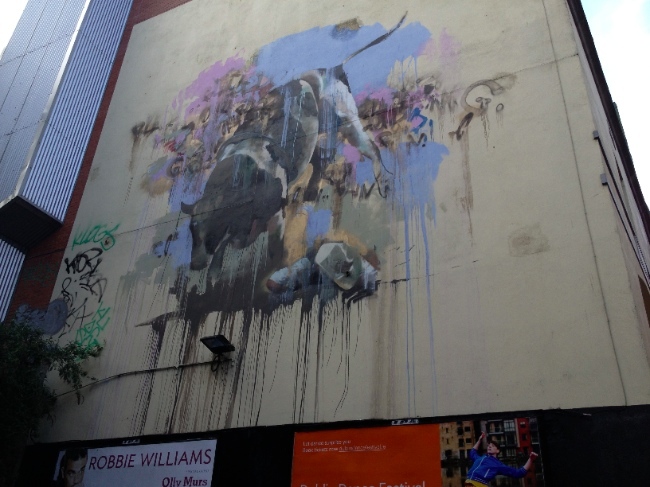 When in Dublin you can’t fail to visit Temple Bar for all its drinking establishments but it is also home to an excellent Conor Harrington piece down one of the areas quieter streets as well as a few galleries. A bit further a field is where you really find gold though and in the Tivoli Theatre car park is a range of work including a large number of pieces by Steve ‘Espo’ Powers and one from El Mac. 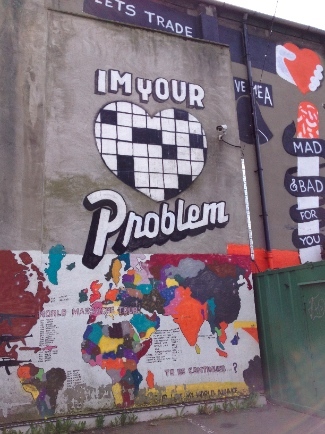 Dublin seems very receptive to street art and an initiative caught my eye called the Dublin City Beta project which first project has seen a number of traffic light boxes given an overhaul by a number of artists, with a forum to gather feedback on whether the art is good for the area. A hub for the community is the shop All City, which stocks sprays cans, records and even has a spot to get a quick trim. Any time I visited this was a hot bed of activity with artists and DJ’s conversing while the weekend commencing my visit they were holding the annual All City Tivoli Jam. I’m already looking forward to a return visits to see what more work has cropped up. 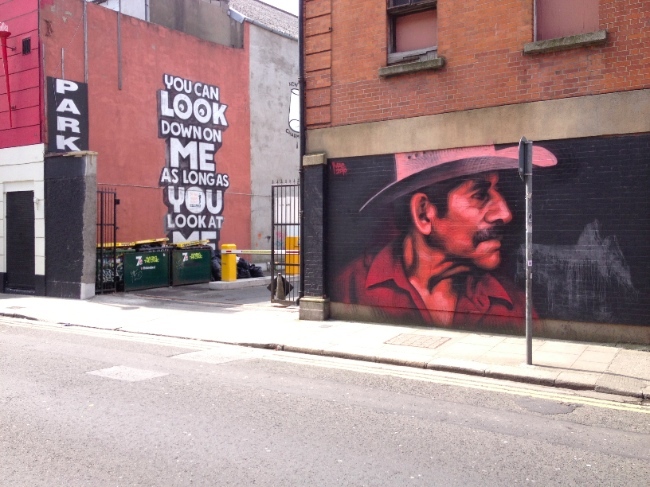 Dublin is definitely worth a visit if you fancy your street art with a good craic.